The use of technology in business has led to huge changes in the competitive landscape. IDC projects that by 2020, 85% of application spending will be on new apps that do not exist today. Emerging technologies have the potential to impact every aspect of the business world. As the value of technology increases, IT finds itself on the outside looking in. In 2016, Gartner found that 40 cents of every dollar spent on technology is outside of the CIO’s organization. And that trend is only growing. The business has determined it is better to work outside of the IT organization than within. The movement of technology projects outside of IT represents the death knell for the traditional Enterprise Architect. To remain relevant, they must transition from being the technology controller to the technology enabler. They must become the executive who effortlessly connects business leaders with technology and market leaders. This new role of Technology Connector represents a fundamental shift in the skills and expectations of the Enterprise Architect. While it can seem daunting, the skills needed are simple. However, to be successful they require constant focus and practice. The ecosystem of up and coming technologies is vast. No single person can know everything about everything. An effective Enterprise Architect must invest in building their knowledge and skills. But they must also look to build their network of knowledgeable sources across the industry. 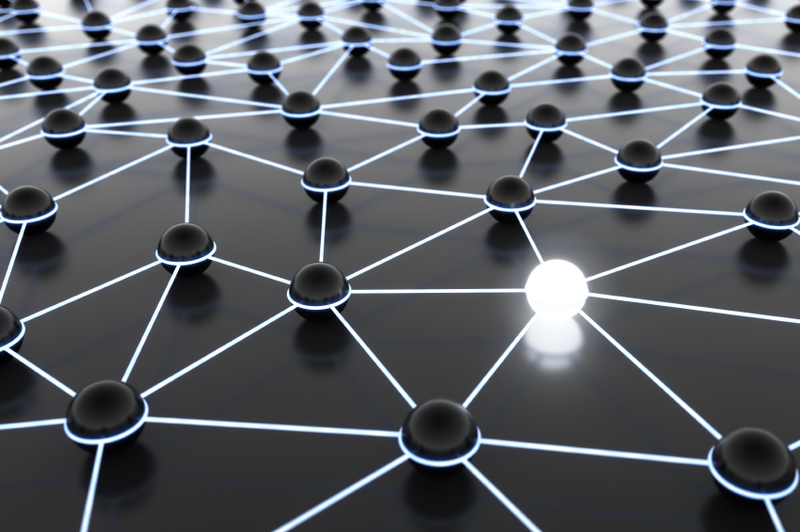 The value of your network grows based on the number of connected users. Connecting with others who are knowledgeable about the latest trends amplifies your organizational impact. 2. Build and Broadcast Your Brand. It is not enough to have all these resources if no one in the company knows it. People who are known beyond the IT department have greater value. The traditional organization structure makes it difficult to make it past the departmental gatekeepers. They aren’t going to give an unknown entity a seat at the table. You need a multipronged approach to gain credibility. First, don’t ignore your own internal relationships. Leverage your network of mentors and advocates to make connections. But, don’t be afraid to bypass the formal structure. Sometimes you need to find other avenues to gain access to the decision makers. Finally, nothing succeeds like success. Find people you can partner with to launch that first idea. Build on your initial success to craft your brand and have others help carry your message. The key is that you must develop an understanding of their business. This means that you must be able to speak their language, not just the language of technology. In traditional networking, the guidance is “don’t keep score”. In this case, it is a little different. Historically, Enterprise Architecture measures its value based on transactions. The number of architectural reviews. Compliance with standards. My first question to the Chief Architect is, “How much revenue did all those Architectural Reviews generate for the firm?” The answer is zero. You will have difficulty getting your ideas taken seriously if you can’t link your work to business outcomes. Learn how to measure and communicate the business value of your work and the impact to your customer. 5. Get Them to The Summit. How many times have you heard someone say, “Hey, I’m the idea guy!” People run from these team members as soon as possible. Instead, think of yourself as the Technical Sherpa to the business. You are their guide. You don’t just point the way; you are there with them every step of the way. You handle the heavy lifting so they can focus on getting to their goal. The new role of Enterprise Architecture is no longer just governance. The Architect must connect the business to technology. They guide and support the business use of technology. And finally, they deliver on business results.